Not only are we Norwegians trying to exterminate a herd of reindeer to stop a disease from spreading, but Norwegian trains are slaughtering reindeer by the dozens, if not hundreds. Lets hope Santa doesn't rely on Norwegian reindeer for his upcoming mission this year. An English article I found from a previous event: https://www.theguardian.com/world/2017/nov/27/reindeer-killed-by-freight-trains-norway A lot more were massacred today. That means Norway is unlikely to get a visit from Santa either way. "Norwy. You behaved like a naughty boy this year. No Christmas gifts for you." -- Santa, probably. Quick, set up a shipping route between West Virginia and Norway to deliver all the coal Santa will need! You'll get a good deal since it's a dying industry. We've got our own dying coal industry to take care of, thank you. Norway first! Just put the coal in soap water, it will become clean coal to pruduce clean energy. Using green paint, it would even be green energy. Crisis averted. Genius. Why haven't we thought of this before?! Do you paint the coal, the water or the energy? That's because there's no good mods doing their job around here. MODS! MOOOODDDSSS!!!!! You put paint in the soap water, which paints the coal and causes the energy to be produced in the right color. Though some paints don't mix with water well, so you would need to clean the coal with soap water first, let it dry, then apply the paint. Painting the energy itself is not possible, due to a lack of surface for the pigment to get a hold on. Alternatively, you could just call coal energy "Black Energy". In doing so, it should be easy to shut down any opposition to "Black Energy" as racist discrimination. Though that's more of a strategy for the US, might not work in Norway. So that is what this "dark energy" cosmologists have been babling about is! It doesn't just expand the oceans, it expands the entire universe. It all makes perfect sense now! And Norwegian electricity is green because much of it is made from glacial meltwater, which is greenish. No, that's just greenish energy, not green energy. Cheap cheat, norway, you can't fool me! I suppose the greenest energy would be french energy. It's glowing green of radiation - 70% nuclear energy. which even has "clear" in it's name. The first chain you do and it bankrupts you. I thought radiation was blue. I've also been a bit puzzled by the controversy of nuclear vs. fossile power. In particular the sudden hurry of Germany to abolish nuclear power, while not being in the same hurry with abolishing coal power (although they seem to be moving there too). Nuclear power plants only pollute the environment when they fail, whereas fossile power plants pollute by design. And fossile fuel might have killed more than nuclear fuel, although fossile fuels has had a pretty solid head start. Nuclear plants do produce some waste. On the positive side, it comes in rather easily manageable solid chunks, whereas waste products from fossile fuels are rather volatile. On the other hand, nuclear waste remains nuclear waste for thousands of years and is quite dangerous in the wrong hands. We do not know how long it takes to neutralize the waste products from fossile fuels. Thorium power plants do seem to offer a way to burn up waste from uranium power plants so that it degrades to something safe much quicker. And it can't suffer a meltdown accident, since it is always molten. Nuclear power plants consume a lot of enegy for making the fuel. About 30% of the electric energy gained from nuclear powr plant has been first put into enrichment and metal processing of the fuel (high melting point and very stable oxides). Also building a nuclear power plant uses a vast amount of concrete or steel for radiation screening, so the building of nuclear power plant releases about 10x more CO2 than the building of a conventional one. And of course the long term costs of guading the spent fuel for at least 500 years (then most of the dangerous fast decaying stuff is gone) has to be paid by the tax payers. So each ton on uranium has a CO2 value too. For low quality ore, you get as much electricty out a nuclear power plant per ton CO2 as from a gas fired modern power plant. For high quality ore (which is almost depleted) the figure is better, you get about 3x mre electricity. But nuclear fuel relies heavily on fossile fuel ... But these number are higher controversal; still Uranium in use for a reactor is not free, and is only contained in 0.05％ in average ore, so one can imagine extraction and especially isotope enrichment (sorting by atimic numbers) is very energy intensive and requires special chemicals. On the other hand, a typical coal fire power plant emits much more radiative thorium than any nuclear power station is allowed to do. (And usually the emit almost nothing.) From that point lignite is better, sinc eit contains less thorium. And radiation is colorless, only the Cherenkov light (from faster than light particles from the decay) give the blueish hint. Incidentally, I recently learned that the most difficult problem with sending nuclear waste to the sun is NOT what happens if a rocket blows up in the atmosphere (although that would be a horrific problem) — it's actually that sending anything to land in the sun is not a trivial problem. It *seems* easy, but in fact, it will orbit the sun unless you decrease the orbital speed to the tune of something like 32,000 mph (or roughly 65-70 megameters per hour - too lazy for more accurate). It's just impractical to do that much energy. FAR easier to launch something that exits the solar system than something that smashes into the sun. I think Venus would be a good choice for interplanetary dumping ground. It seems unlikely that we will ever have other uses for that planet. There might be life in the clouds, but they must tolerate a lot already. Whether radiation is colorless depends on the kind of radiation, and the definition of color. Light radiates, and is therefore a kind of radiation. Gamma radiation is most definitively light, just of a "color" we can't perceive. Prissi, the information you present come from a study without peer-review, criticized (among other things) for just guessing values, it's full of assumptions - nothing was actually measured. When measured for some plants, the values were not as high. If you look for them, you'll find studies about vaccines causing autism, earth being flat, earth being 5000 years old, chemtrails,... not saying this is as bad as those, but I wouldn't trust it. Anyway, even considering it true, one could still ask Elon Musk if the construction couldn't be done using only electric vehicles. Comparing a bad nuclear power plant with a good gas fired plant still means that on average, nuclear is better than gas, and gas generally beats coal, so the question still stands whether nuclear power plants are more controversial than coal power plants, and why. That study came up from quick googling. But the atomic enrichment is very energy intensive. And the annual increase of electricity demand from 1970 to roughly 1980 in West Germany was due to construction of atomic power plants, that was a study from TUeV (who are rather pro nuclear). Anyway, an enrichment company gives the figure of 2.4 MWh per SWU, and one needs 6-8 SWU per kg Uranium for a commercial reactor. That makes 7 x 2.4 = 16.8 MWh. 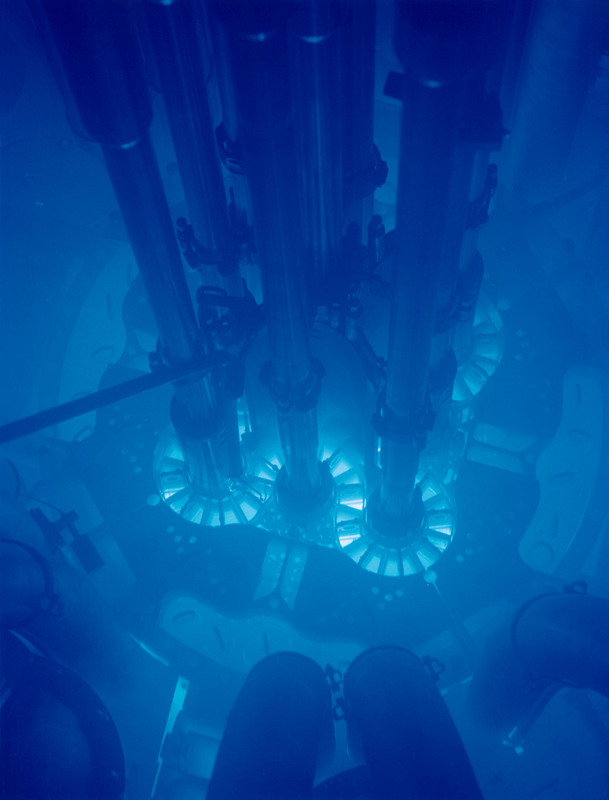 In a typical light fuel reactor from the theoretical capacity of a kg Uranium only about 50-100 MW are used. With the electrical efficency of 32% this means that less than 33 MW are generated per kg. This is very easy to calculate, but the CO2 balance is quite a different piece (and we have neglected the Uranium extraction and the conversion to UF6 and back). So there is a net gain, but it is rather small. Therefore, nuclear can generate less CO2 than methan or lignite, but it is far away from zero emission. (They just happen elsewhere.) It may be even dirtier when thing like long term storage and plant construction is also taken into account. Simpsons turns white people yellow, so naturally blue radiation becomes green. This thread derailed so fast! He means this thread suffered an accident. Incidentally, we don't like it because it adds too much micromanagement for moderators. He means this thread suffered an accident. I don't see anything stating that it was an accident in that post. Unless the derailment was intentional... oh, wait a sec! It sure took a while for that to get through! Also, I find it hard to type bbcode these days because I mostly type markdown. I still wish there was a markdown plugin for the forum. heh. I suppose I should look again - it's been a couple of years.